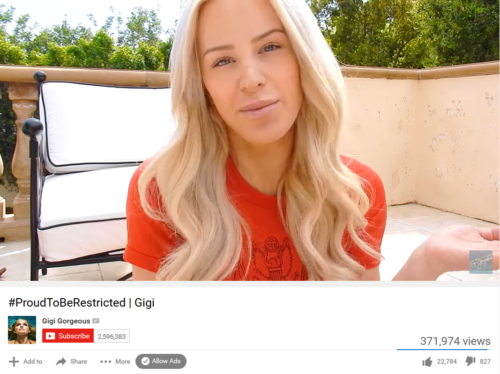 YouTube’s developers have responded to an uproar caused by its “restricted mode” filter blocking LGBTQ content, saying that the problem has been solved. In March, YouTube modified its “restricted mode,” an option that filters content that may be inappropriate for children. The filter, though, blocked a lot of pro-LGBTQ content that was not pornographic, violent, or full of obscene language. Hundreds of thousands of LGBTQ videos were blocked in restricted mode, while anti-LGBTQ content was not blocked. After a thorough investigation, we started making several improvements to Restricted Mode. On the engineering side, we fixed an issue that was incorrectly filtering videos for this feature, and now 12 million additional videos of all types — including hundreds of thousands featuring LGBTQ+ content — are available in Restricted Mode. Wright did not go into detail about changes made by developers, but Engadget reports that YouTube’s team reviewed many of the censored videos in an effort to train its algorithm. The result is that 12 million videos are no longer filtered in restricted mode.